We've added a bunch of frames with slight imperfections to our special sections. Most have a small scratch or or paint chip, but are otherwise new. There are also a few prototypes, two of which where never built up. You can save a fair bit if you can live with an imperfection of the sort that most frames will have after a few months of use anyway. The VO warehouse sales takes place this Saturday, March 28th, from 9am to 12pm. One of the complete ex-show bikes we'll be offering. Four prototype frames will be available. We'll also have a 7 or 8 scratched production frames at big discounts. Here are a few of the other things we're sorting and pricing, There's lots of handlebars, pedals, racks fenders, tires, etc. We'll also have a few boxes of new, but overstocked stuff. 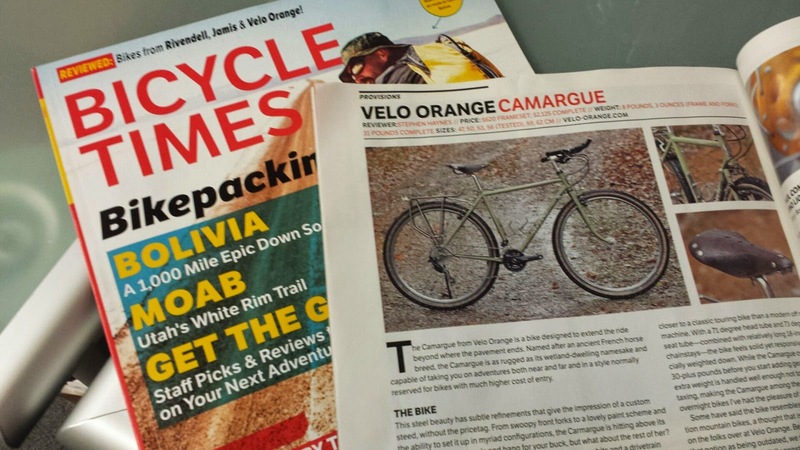 Bicycle Times reviewed the VO Camargue in the current, May 2015, issue. The review is overwhelmingly positive. It's not online yet, so you'll need to get a paper copy of the magazine to read the whole thing. Here are a few quotes:. 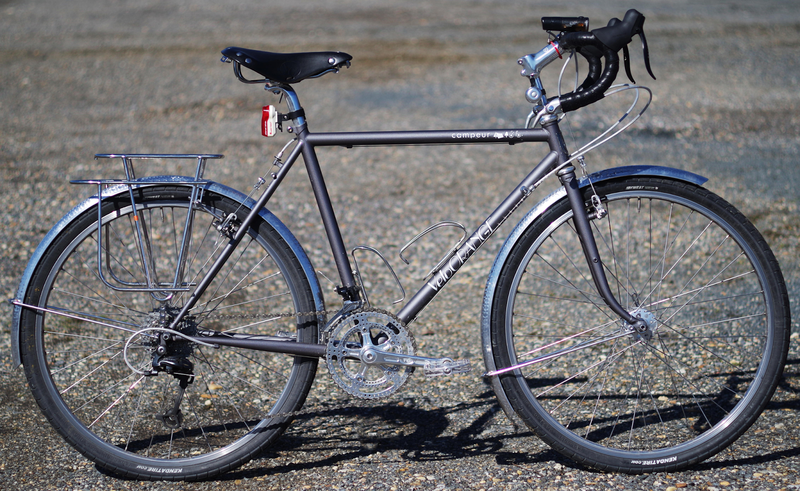 "This steel beauty has subtle refinements that give the impression of a custom steed without the price tag." "From swoopy fork to lovely paint scheme and ability to set it up in myriad configurations, the Camargue is hitting above its weight in terms of visuals and bang for your buck..."
"...the bike feels solid yet responsive, especially weighed down." 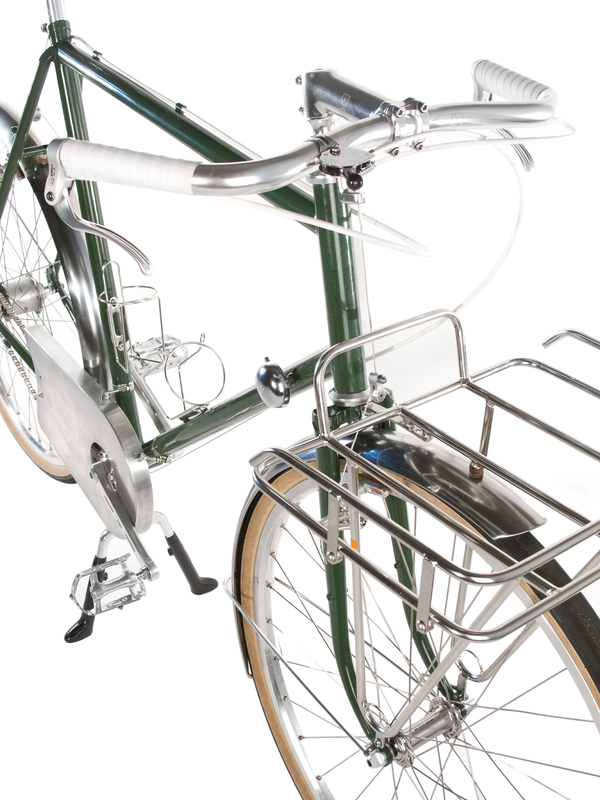 "...solidly constructed making it great for everyday commuting, grocery getting, world touring, overnights, etc." "It's stable, yet nimble, making it easy to strip down and take on your favorite mountain bike trail without fear of having too little bike." " It's also fashionable enough to upstage the scenesters at your favorite coffee shop or watering hole..."
"...among the best offroad overnight bikes I've had the pleasure of riding." "Overall the Camargue was a treat to ride." 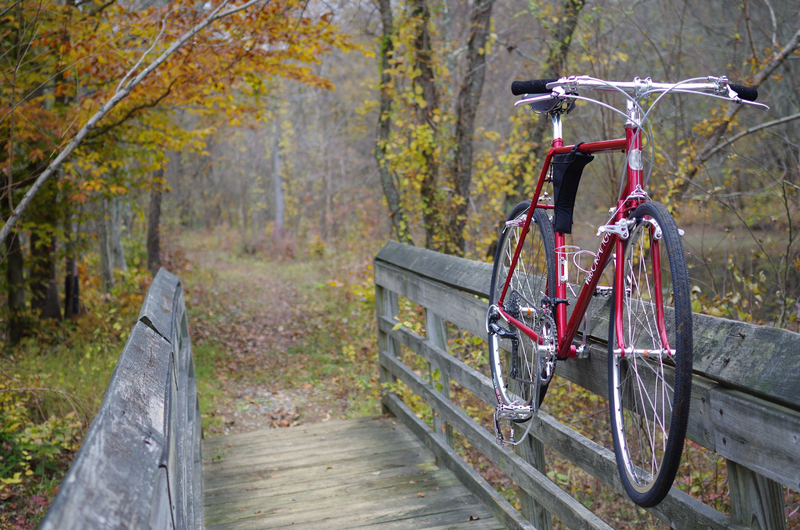 I want to thank reviewer Stephen Haynes for writing such nice things about our bike. It's great that every review of a VO frame has been very very positive. There are three things that I really strive for with each of our frames: We are obsessive about having them handle perfectly; they must be really well built and look right; and I set the price not at what the market will bear, but based on a reasonable profit, which I, and many reviewers, think makes them a bargain. Speaking of bargains, don't forget the VO Garage Sale, this Saturday, March 28, 9am - noon! With the positive feedback for our initial Noir offerings, we decided to bring in a few new products. 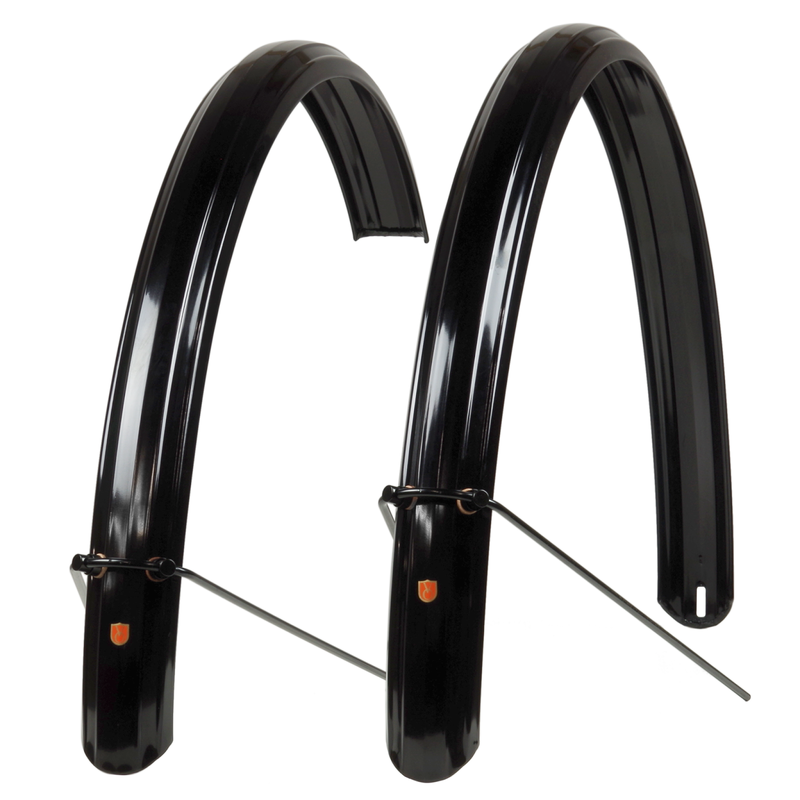 For those using up to 42mm wide tires, check out our Noir Zeppelin Fenderset available in both 650b and 700c. If you're riding 700x25mm tires, we have you covered as well with our Noir 35mm Hammered Fenderset. 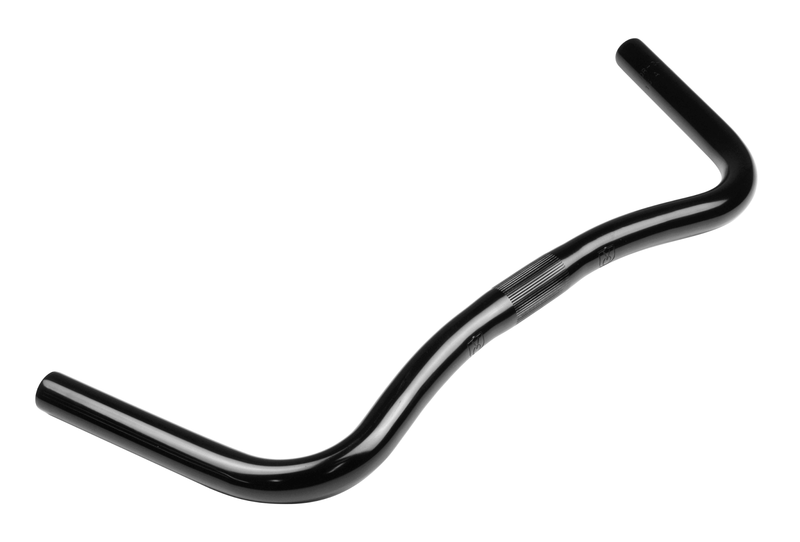 Lastly, we now have our Porteur Handlebar in Noir finish in the 23.8mm size. 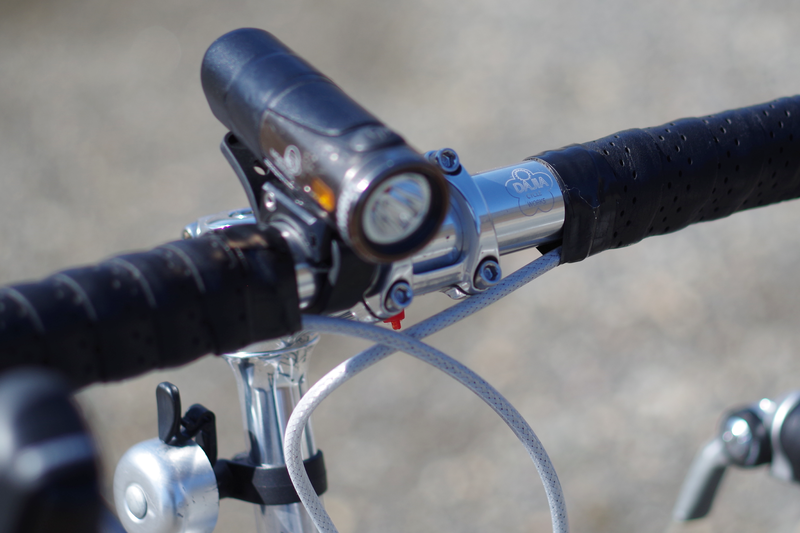 It accepts bar-end shifters and other road components. Stealth VO logo engraved by the clamp for identification. What Noir item should we be bringing in next that would complete your build? We'll hold one of our very occasional VO warehouse sales from 9am to 12pm on March 28th. We're selling sample parts that were sent for review or displayed in our showroom or at bike shows. There are some returns and a bunch of prototype frames and a few bikes, some discontinued parts, parts that have been used on test bikes, scratch-and-dent stuff, etc. All-in-all there are hundreds of items. We want to blow them all out in one day! So most will be priced at about half the regular web site price. Since we didn't have a warehouse sale last year, there will be more stuff than usual. In case you can't find any garage sale stuff you like, we'll offer 15% off on any VO and Grand Cru parts, accessories, or frames (but not build kits) in stock. This reflects our savings in not having to process, pack and ship, so you must be here to get the discount. The VO Garage Sale will take place between 9am and 12pm on Saturday March 28th., rain or shine. the 15% discount is available only to those who buy in person, not on-line. Frame build kits not included. As always, we'll serve donuts and espresso. We've been working on these VO Porteur bags. They're made right here in Maryland. The material is ballistic nylon so it's really tough. The bottom is padded and there is a pocket at the back. The zippers are waterproof. It can be carried with the included shoulder strap or like a hand bag. There are a couple of ways to attach the bag to the rack, with the buckles as shown above, or by using the daisy chains underneath. The rear pocket is nice for cell phones or whatever. The small zipper is water resistant too. The large main compartment holds a mess of Legos, groceries, a laptop, etc. 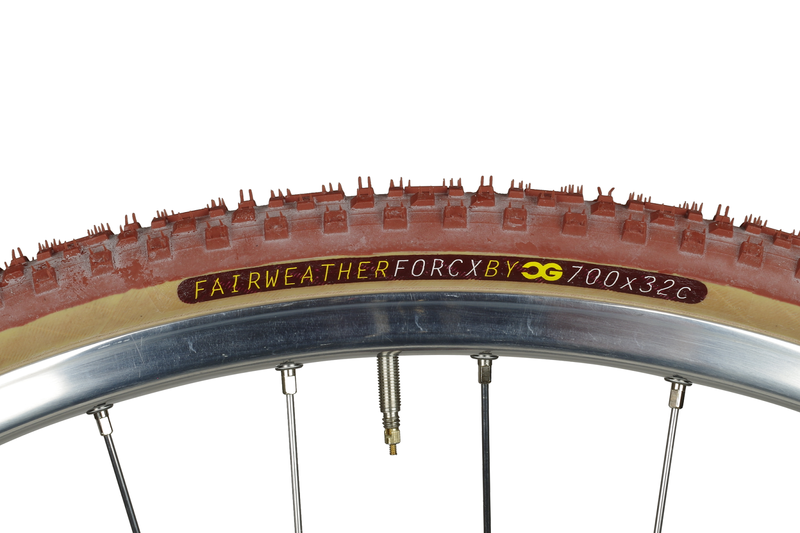 The Fairweather tires we've been importing have been extremely popular, so we decided to bring in their cyclo-cross tread in Rust and classic Black/Tan. 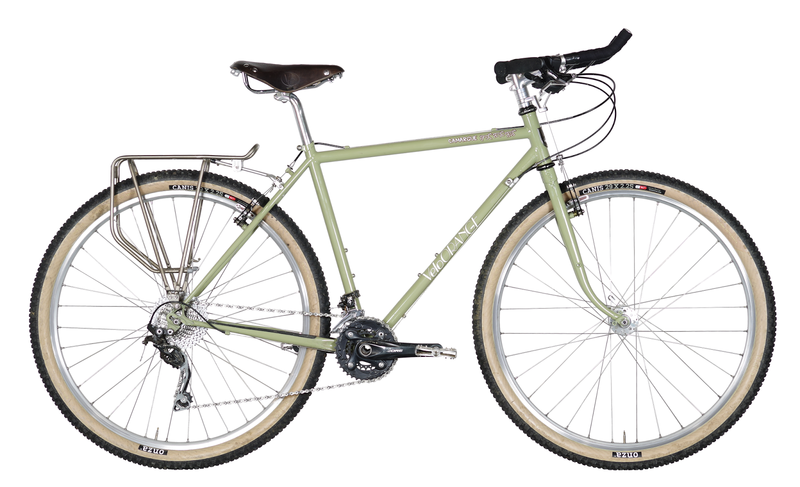 The Rust color will match your sunburned nose after all the gravel grinding. 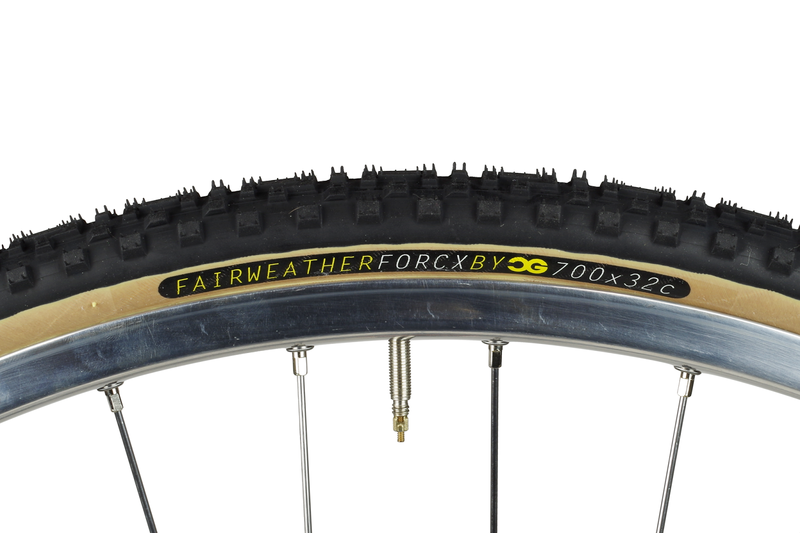 Unlike their other offerings, these Fairweathers measure a bit narrow (29-30mm), but have great handling offroad. I will swear up and down that as a 5'5" woman, I AM OF AVERAGE HEIGHT. But in the cycling world, anyone my height or shorter can benefit from using bikes and bike components that cater to smaller persons. I'm lucky enough to have access to several of these items through my gracious overlords. So prepare yourself for...Adrian's vertically challenged favorites list! 26" Campeur - I have been privileged to be able to use the 26" Campeur prototype for my daily driver, in addition to touring. This frame is perfect for shorties like myself. The handling is supreme, both set up for fully loaded touring, and stripped down for city riding. 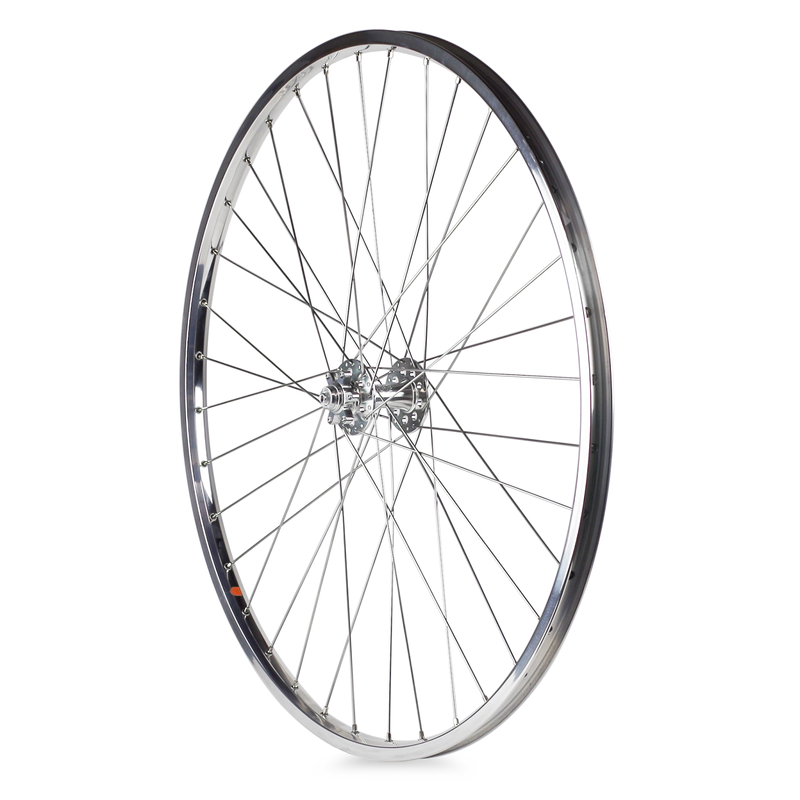 I ride a 49cm, and for smaller frame geometries, the 26" wheel size really makes a difference. No toe clip overlap. Easier and more spry handling. I'm in love. 26" rims - No wonder I like this size rim, I finally have a use for it! The Campeur is my first 26" bike, and I've built it up with our Diagonale Rims. 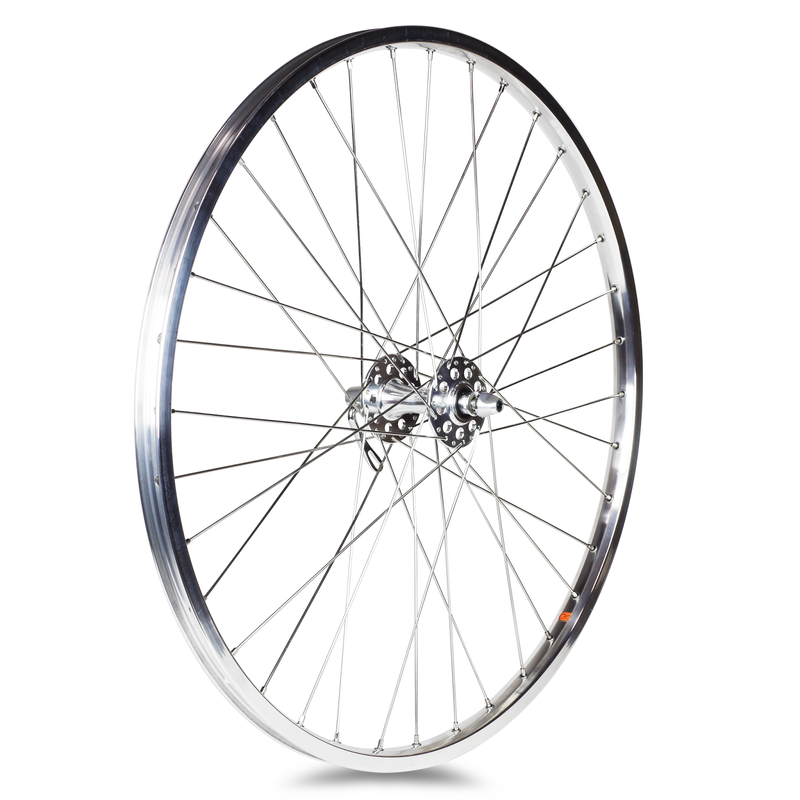 These rims fit tires 35mm to 45mm wide. I have Kenda K West 26x1.5" on those puppies, giving me higher pressure riding for swift road riding, which I can drop to a lower pressure range for comfortable gravel grinding. 650b Fenders - I've used the 45mm size for my 26" wheels, allowing for plenty of room for my fatter tires. Specifically, I've installed the Hammered Fenders, which, along with the Snakeskin, are my favorite VO fender patterns. They're flashy and functional. Short and Shallow Handlebars - For my apparent T-Rex arms, of course. In all seriousness, these are perfect for me. They give solid room on the tops, and a super comfortable position with the ramps leading to the hoods. The drops are really where these bars stand out, though. They give you a comfortable yet more aggressive position, so comfortable in fact that I find myself hanging out down there on the regular. 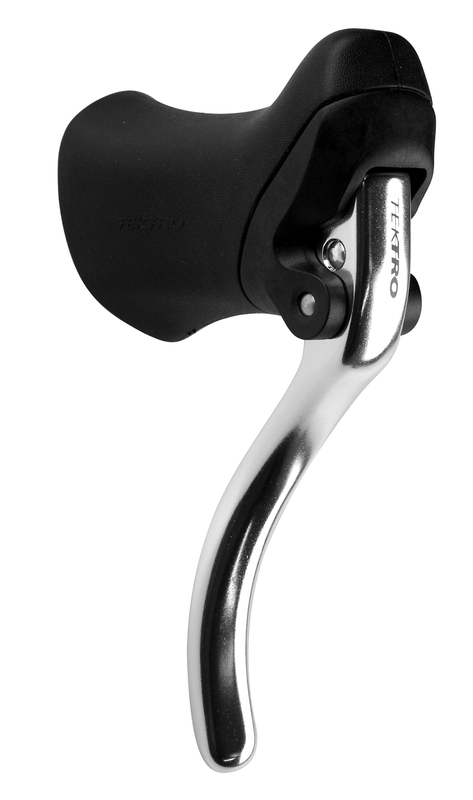 Tektro RL341 Aero Brake Levers, for Smaller Hands - Essentially baby-hand brake levers. 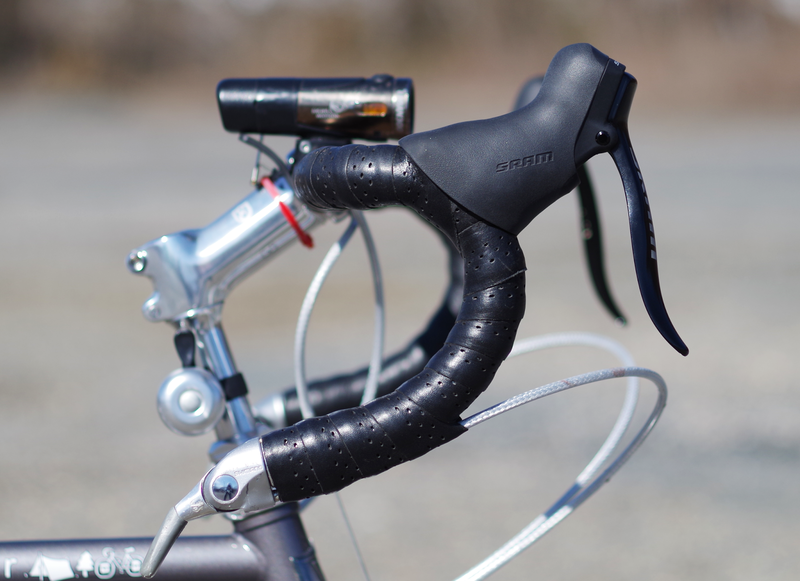 These brake levers are the smaller version of our RL340 Tektro Aero Brake Levers. They have ergometric lever arms that allow smaller hands to still get considerable leverage for breaking power. Plus they work great in combo with Short and Shallows, providing a great position on the ramps/hoods. Grand Cru Sabot Pedals - Although they may not be inline with the rest of these items, I'm also a huge fan of the Sabot pedals. Since their release over two years ago, I've had a pair on every single one of my bikes. I'm prone to riding in an assortment of shoe styles, most notably flip-flops, and these suckers do my feet good. In the last episode, we talked about drop handlebar selection in our Building a Bike From the Frame Up series. This time we'll discuss flat and upright handlebar selection while addressing technical and functional characteristics of our current offerings. Handlebar and cockpit set up is the part of the build that riders are arguably most particular about. 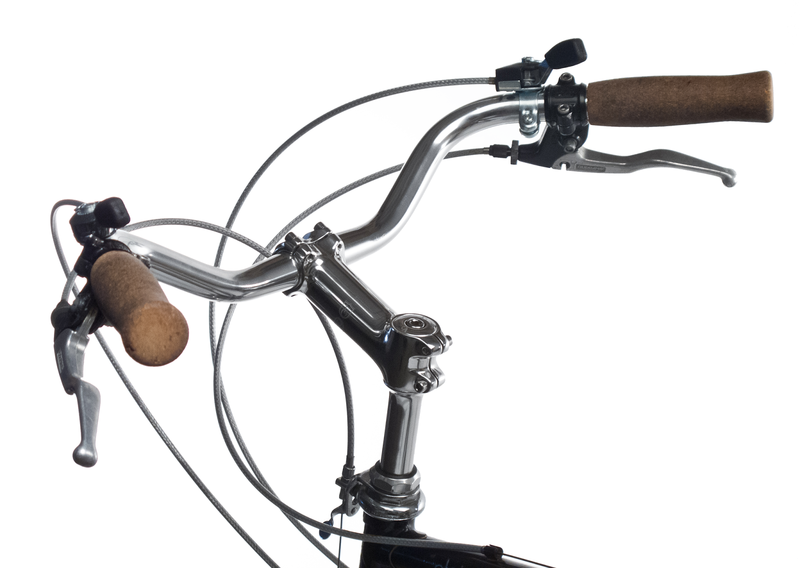 Comfort, visibility, and ease of use are the usual reasons for selecting an upright or flat handlebar. Handlebar that features no rise: Postino, Belleville, Crazy Bars, and Seine Bars. Handlebar that features a rise for an added upright position: Left Bank, Montmartre, Porteur (can go either way up or down), Milan, and Tourist. Stem Clamp diameter - The measurement outside to outside of the area that clamps to the stem. 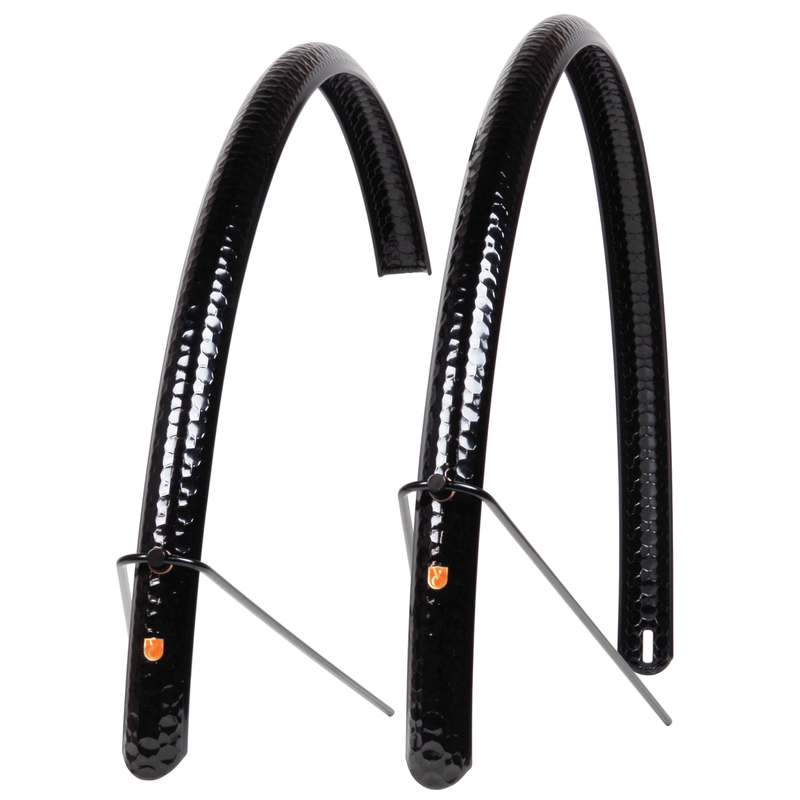 25.4mm - standard city, upright, and MTB bars (although many mountain bars have gone to 31.8mm). Brake Lever Clamp diameter - The measurement outside to outside of the bar where your brake levers and shifters clamp. 23.8mm - standard road components: think bar-end shifters, integrated brake/shift levers sometimes referred to as "brifters," road brake levers (aero and non-aero), interruptor or "cross" brake levers, and Guidonnet levers. 22.2mm - standard city and mountain components: trigger shifters, grip shifters, and some inverse brake levers. 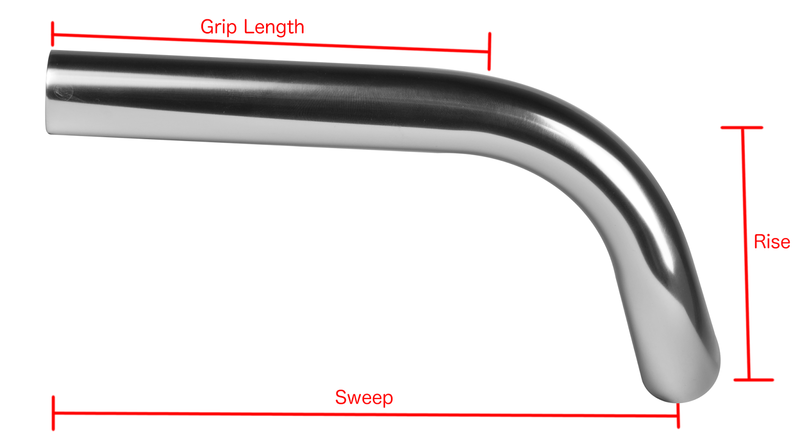 Width - Measurement from center to center of the ends of the handlebar. Rise/Drop - Measurement from center of stem clamp to the center of the start of the grip area. Sweep - Measurement from center of stem clamp to bar end. Grip Length - Measurement of straight area of grip from end to end. I'll start off with Montmartre Handlebar since it is the one pictured above. If having an upright riding position is a priority, then you're all set. 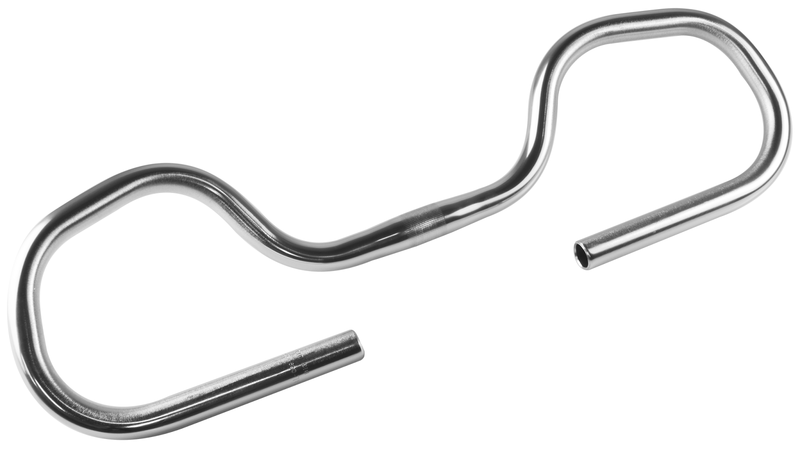 This bar features a rise of 6cm and sweep back of 18cm which gives you a comfortable, upright riding position allowing you to see above traffic, and for traffic to see you more easily (compared to a drop handlebar). A width of 42cm allows for easy navigation of narrow side streets while keeping handling neutral. Grip area measures 12cm. Available in 22.2 as well as 23.8mm clamp diameter for your city or road components. If you'd like a wider version Montmarte bar the Left Bank Handlebar will fit the bill. Width measures 49cm, nice for those with wider shoulders. This model flares out 4.5cm on each side from the beginning of the grip area. Rise measures 7cm and sweep is 19cm. Grip area measures out to 16cm. Available in 22.2 as well as 23.8mm clamp diameter for your city or road components. 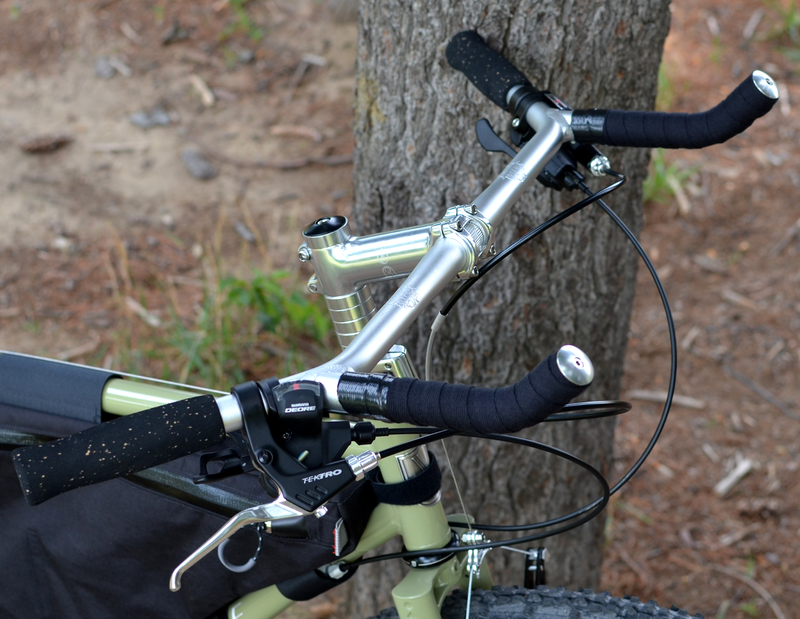 Next in the riser handlebar division is the Tourist Handlebar. Width is 57cm and rise is about 7cm. It's not uncommon to see this type of handlebar of English Roadsters. This model is only available in 22.2mm as putting bar end shifters or inverse levers would make the bar too wide! Grip area is 16cm long. 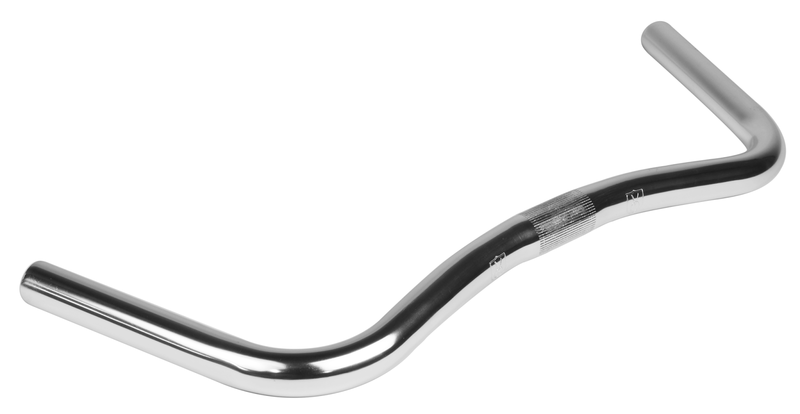 If you'd like a less sweep and rise, the Milan Handlebar is a perfect option. It doesn't look out of place on an old Italian steel road bike or a tourer. Grip area measures 17cm and sweep angle is roughly 30 degrees. 22.2mm city and MTB components only. 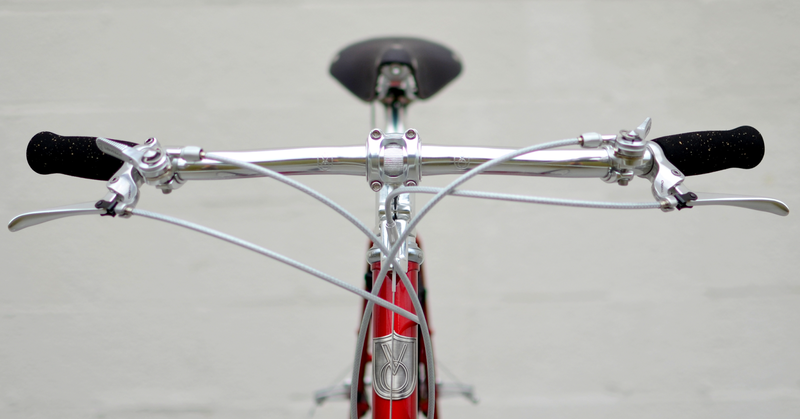 Classic and simple handlebar. Postino is similar to the Milan, but features no rise; a flat bar indeed! If you want something zippy, look no further. 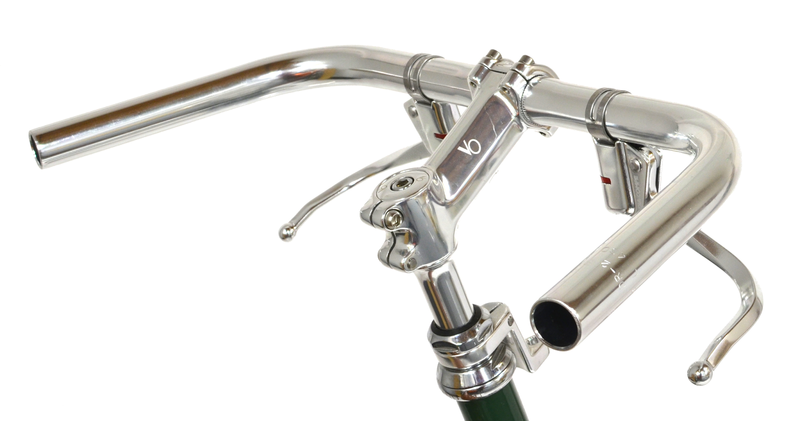 This bar uses a 22.2mm brake lever clamp diameter for trigger/grip shifters and city/MTB brake levers. 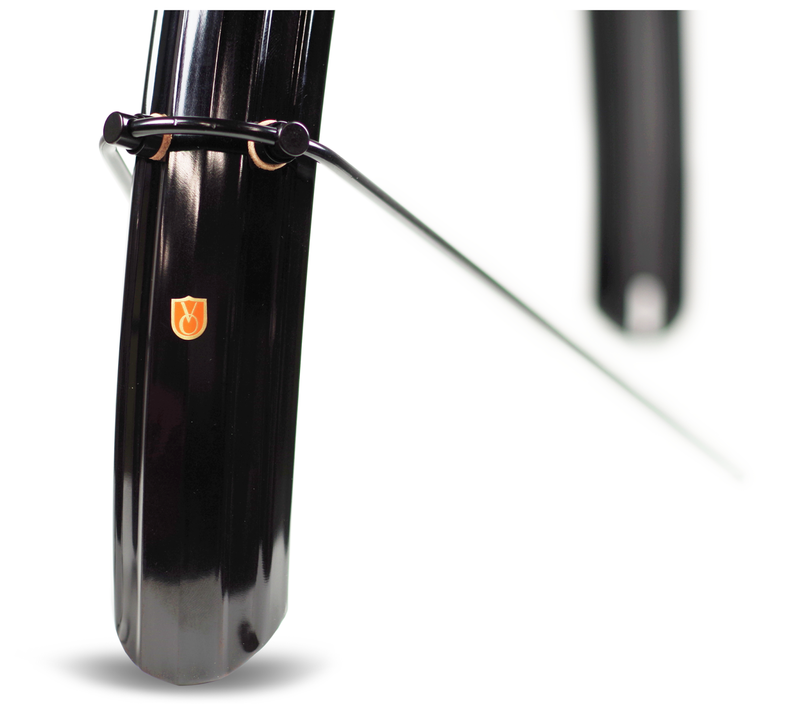 We have seen many of our Pass Hunters built up with Postino bars - the best combination of comfort and aerodynamics. The Belleville Handlebar is a flat city handlebar with a classic design that's been used on countless French city and utility bikes. Width is 43cm and has a sweep of about 15cm. Pair the bar with Dia-Compe Guidonnet Levers for true Parisian flare. Available in 22.2 and 23.8mm brake clamp diameter. 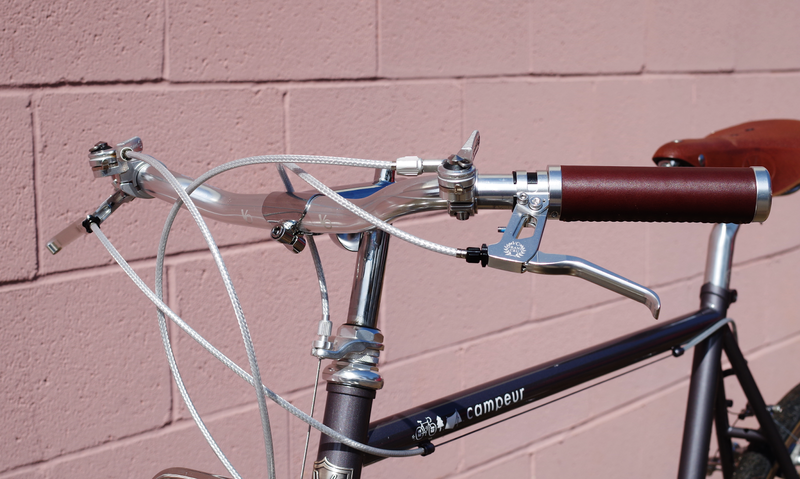 Our Porteur Handlebar has been a long time favorite of ours for its versatility and graceful bends. The bars are designed with a slight drop, but some folks flip them for a more upright position. A width of 48cm means it's wide enough to navigate rutted trails, but narrow enough to zip around town without worry of swiping mirrors on parked cars. 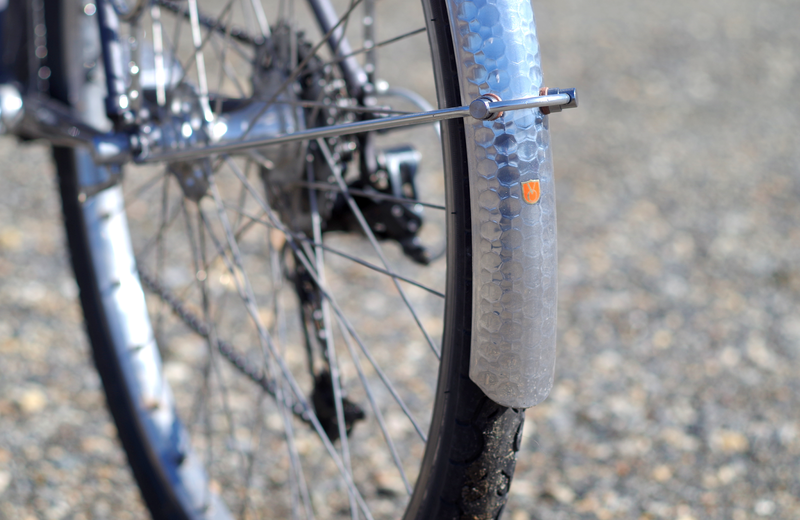 The 23.8mm version is capable of taking road components such as bar end shifters, thumb shifters, or even brifters. 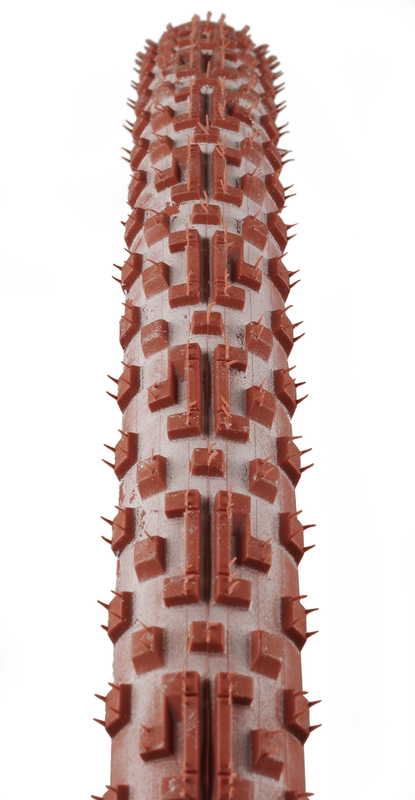 The 22.2mm bar takes city or MTB components. Alright, here is where things get a bit weird. Casey's Crazy Bar always gets loads of attention. People pick it up and you can actually read their minds saying, 'Huh, weird, but you know what? It makes a lot of sense!'. 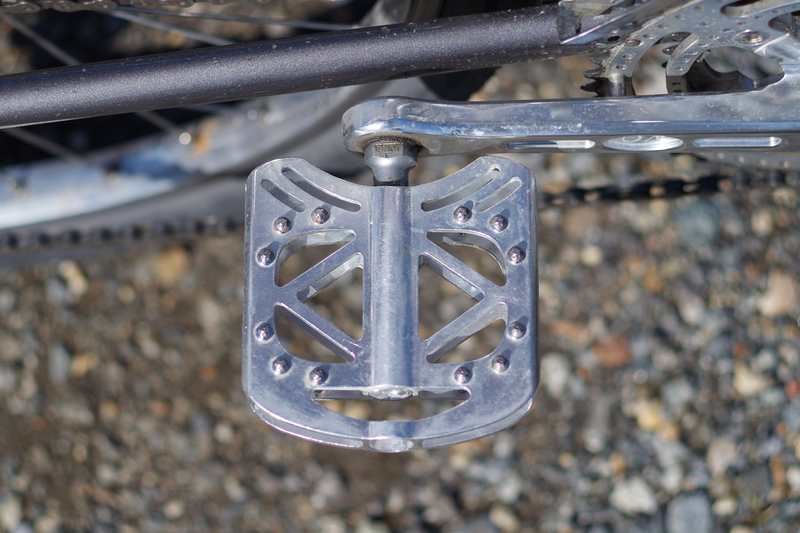 The swept-back portion (22.mm clamp) is a comfortable flat bar section for trail navigation. The forward extensions (23.8mm clamp) are for tucking into the wind for aerodynamics or cranking out of the saddle. Roadies will feel right at home on the junction where the extensions mount to the swept back portion. This position feels very similar to being on the hoods of a drop handlebar. Loads of hand positions keep you feeling fresh. This bar is available in alloy, anodized noir alloy, and chromoly (sorry, discontinued). The Seine Bar is an offshoot of the Crazy Bar. Same sweep portion and design, sans forward extensions. Last is our Dajia Trekking Bars. This style of bars is rarely seen in the US, but are very common on European touring bikes. Need hand positions? You got 'em. All of them! There are seemingly endless permutations of brake levers, shifters, grips, and handlebar tape that can be achieved to fit your style of riding. They feature a rise/drop of about 4cm and a width of 57cm. So that's what we have currently. We're always interested in trying out new bends or designs. What are we missing? What bar do you dream about but cannot find? 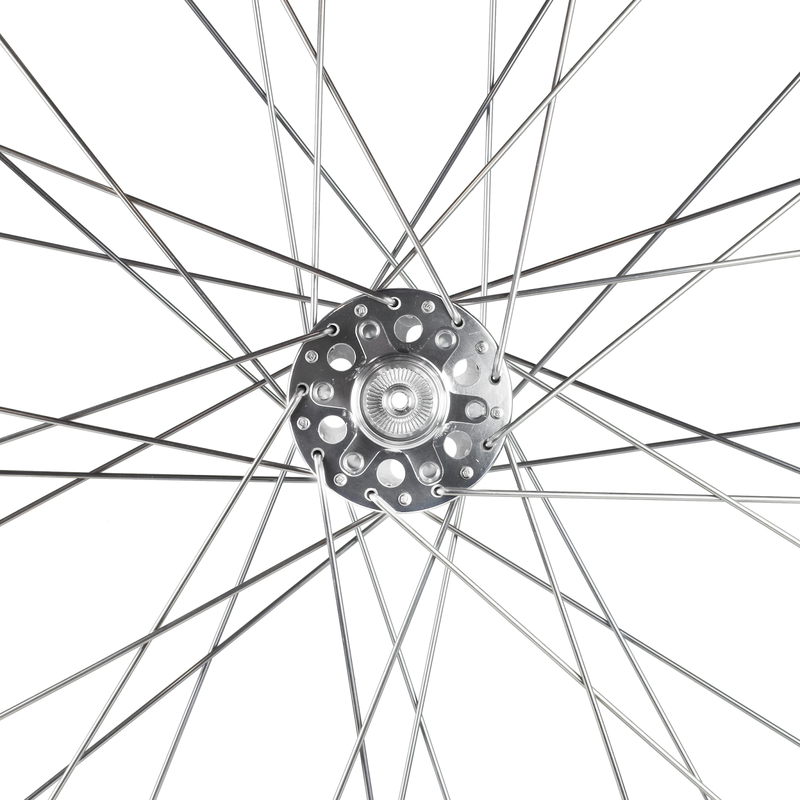 With more bikes using disc brakes, it's time to bring some shine into the dark world of black hubs and rims. We paired our new Disc Touring Hubs (Front and Rear) to Diagonale Rim for a rock solid touring/gravel/commuting pair of wheels. Rear wheel weighs 1330g (including skewer and steel free hub body). Alloy freehub body will save you 68g, if you're counting. 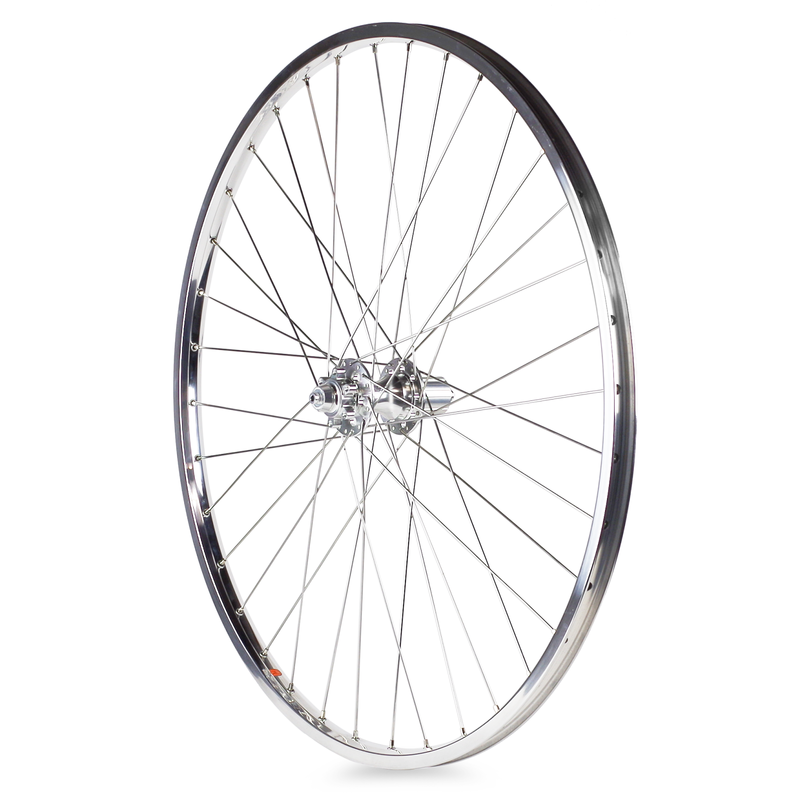 Front wheel weighs 1106g (includes skewer).